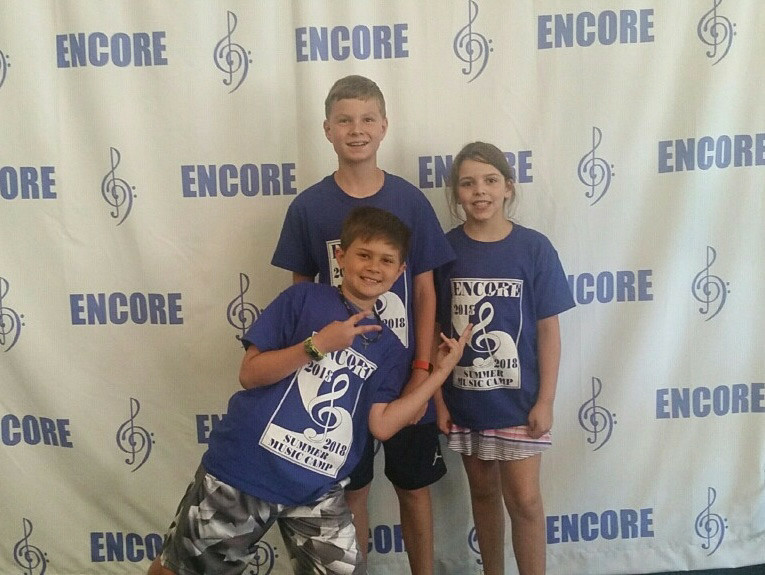 While Leah was at baking camp, Molly attended Encore Music Camp here in Howard County. 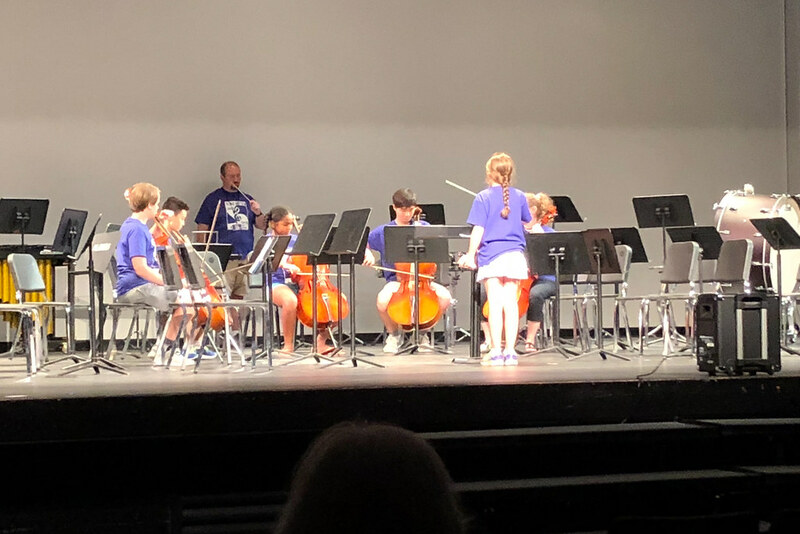 It’s a full-day music camp for middle schoolers (yes, Molly is entering middle school). They had a wide variety of levels and had a lot of fun together. Molly was excited to have friends at the camp. She, Simon, and Jake have been friends since they were infants. 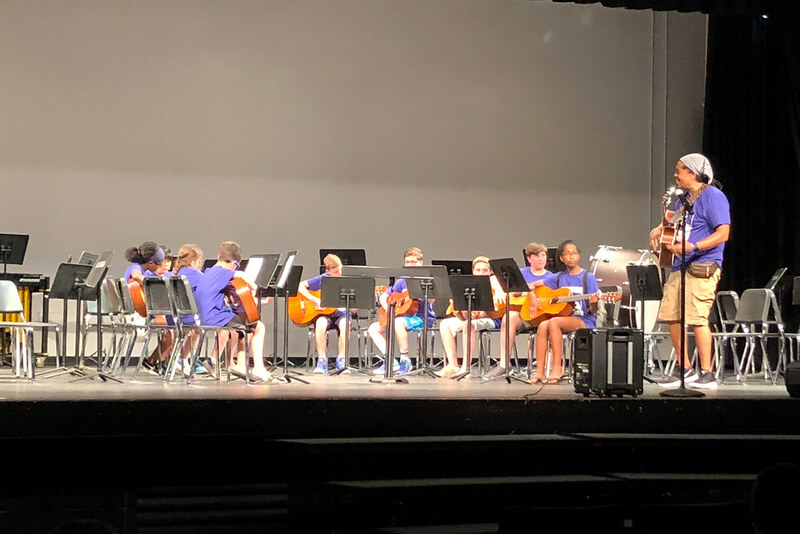 The string orchestra did great and had a lot of fun in their end-of-the-week performance. The last song (Rosin Eating Zombies, starting at 12:46 ) was our favorite. Molly was also part of the choir. At the end of the concert, the entire camp came together to play. Molly took a class on conducting as one of her electives. Then she got to conduct this ensemble at the end of the week. Molly also took guitar as an elective. She said it was hard. 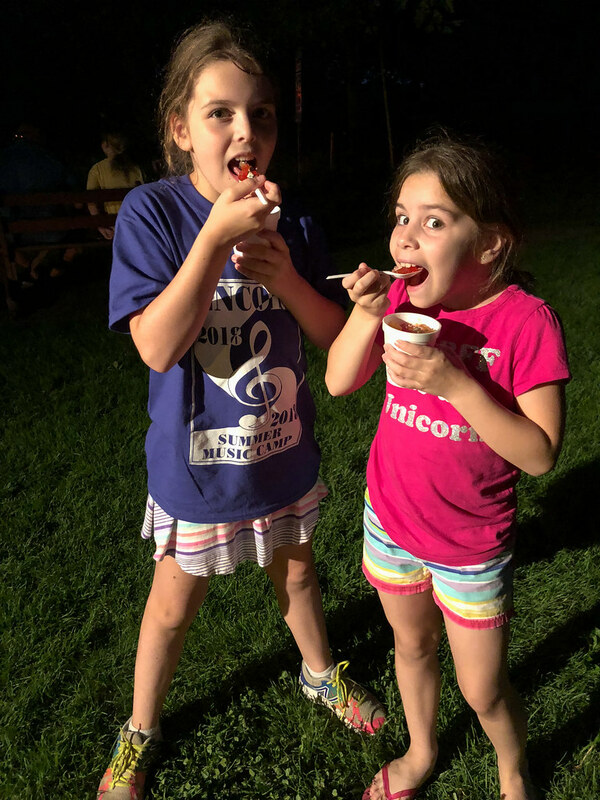 It was late after the end-of-the-week concert, but we still stopped at The Snowball Stand for the first time for a treat. 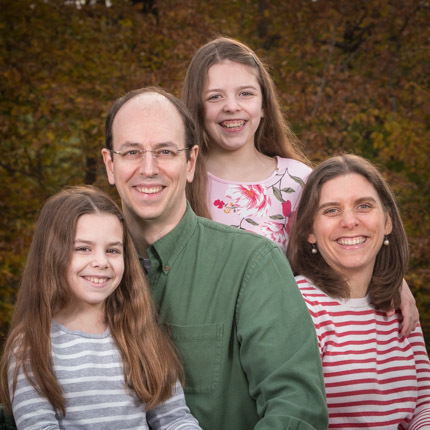 This entry was posted on Tuesday, August 28th, 2018 at 6:00 am	and is filed under Molly, Music. You can follow any responses to this entry through the RSS 2.0 feed. You can skip to the end and leave a response. Pinging is currently not allowed.